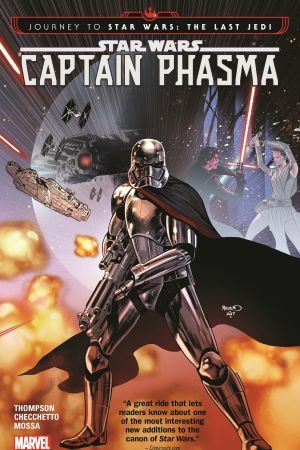 As the excitement ramps up for December’s Star Wars Episode VIII The Last Jedi, journey back to the final moments of Star Wars Episode VII The Force Awakens and the destruction of Starkiller Base to learn the fate of one of the film’s fan-favorite characters: Captain Phasma! Captured by the Resistance and thrown into a garbage masher, Phasma must escape a doomed world — and plot her revenge! Follow the chrome-adorned warrior from the site of the First Order’s biggest defeat to the doorstep of this holiday season’s biggest blockbuster! 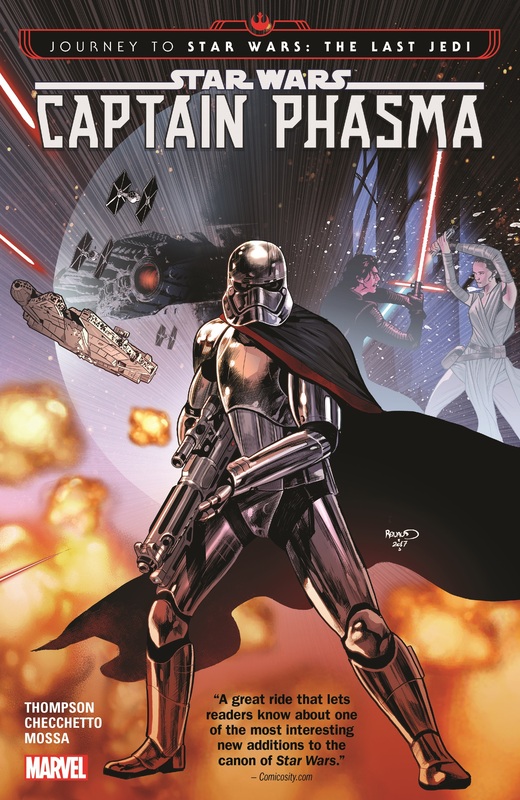 Written by Kelly Thompson (HAWKEYE, STAR WARS ANNUAL) and drawn by Marco Checchetto (STAR WARS: SHATTERED EMPIRE, STAR WARS: SCREAMING CITADEL), Captain Phasma will recondition you to love the First Order! 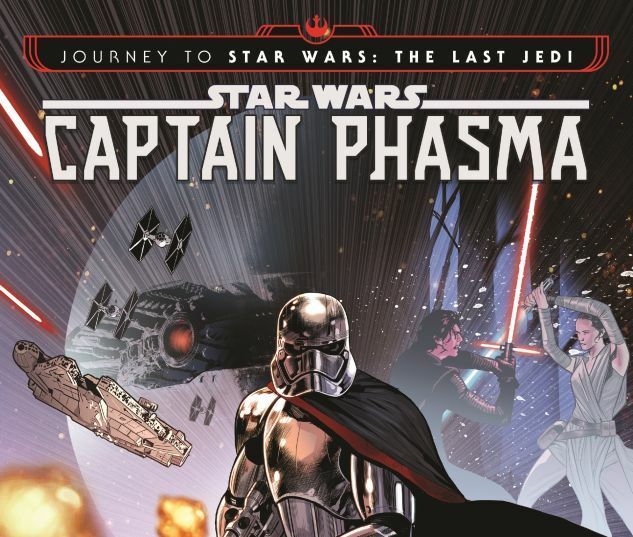 Collecting JOURNEY TO STAR WARS: THE LAST JEDI — CAPTAIN PHASMA #1-4.